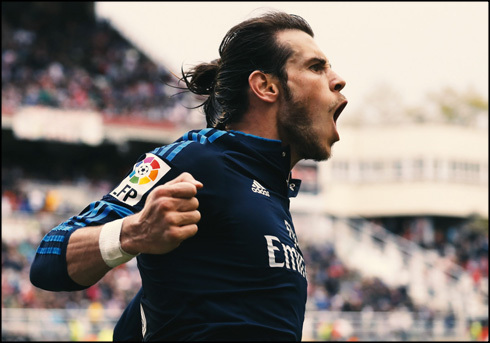 It was another brilliant comeback for Real Madrid, who visited Rayo Vallecano this Saturday afternoon and beat the hosts 3-2 thanks to a superb performance from Gareth Bale. The Welshman showed his best version this season and in Cristiano Ronaldo's absence due to injury, it was the former Tottenham star who carried the team on his back. Bale scored the opener and the winning goal in the 81st minute, while Lucas Vázquez got the 2-2 equalizer shortly after the break. The Merengues keep putting pressure on Atletico Madrid and Barcelona, who are now forced to win their games later today in order to keep on top of Real Madrid in La Liga standings. In the meantime, it's time to switch the focus to the UEFA Champions League and get ready for the clash against Manchester City this Tuesday, at the Etihad. Cristiano Ronaldo is expected to be back from his injury and return to Zidane's starting eleven. Well it's now two times this season that Rayo Vallecano have been up on Real Madrid and two times they suffered a heartbreaking defeat. Last time at the Bernabéu, the score was far more comfortable for the whites as they won 10-2. 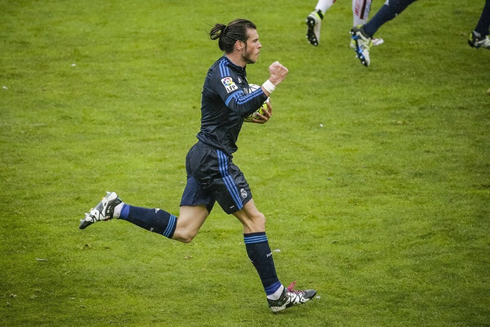 This time, Real Madrid needed some heroics from the Welsh wizard Gareth Bale to secure a 3-2 come from behind victory. The first 15 minutes were a disaster. Lax defending gifted Rayo a 0-2 lead with Embarba and Miki scoring for the hosts. Gareth Bale's first-half header before the break was massive however, as it gave Madrid the sense that they could really complete the comeback. But bad news kept piling on and Benzema went down with an injury that made fans fear the worst. There has been no update on Benzema's condition as of yet, but on the pitch, his replacement Lucas Vazquez made sure it didn't matter. The former Castilla man was brilliant running everywhere harassing defenders and making smart decisions whenever he got the ball. 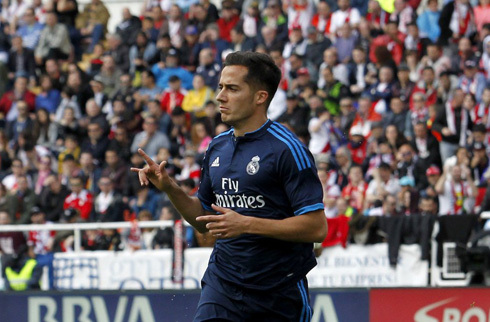 His header midway through the second half made it 2-2 and Real Madrid were on the prowl for the winner. And it would be provided by Bale nine minutes before the final whistle. The former Tottenham superstar broke away from midfield after a defensive error with one of his trademark breaks of speed and slotted home the winner for 3-2. Gareth Bale could be seen shouting "Vamos" [Spanish for «Let's Go»] to himself, as he peeled off in celebration. Real Madrid held on to go to the top of the table (for a few hours at least), until Atletico Madrid and Barcelona complete their matches later today. Now all the focus shifts to Manchester and Real Madrid's quest for the 11th UEFA Champions League! Cristiano Ronaldo next game with Real Madrid for the UEFA Champions League is on April 26 of 2016, against Manchester City. You can watch Juventus live stream, Manchester City vs Real Madrid, Barcelona vs Sporting Gijon, Crystal Palace vs Watford, Sunderland vs Arsenal, and Leicester City vs Swansea City, all matches provided from our football live game pages.